After driving around North America in 2015 I decided that it was time to try something new. I grabbed a piece of paper, wrote down 6 countries around the world that I’d like to live in, numbered them 1 to 6, rolled a die, and moved to the country that coincided with the number on the die. 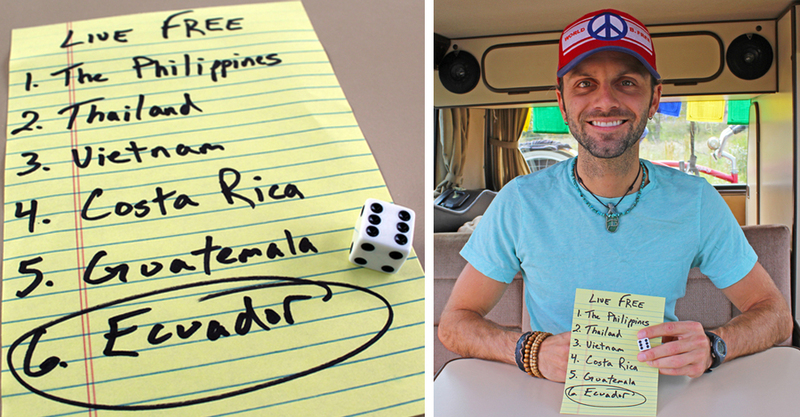 I landed a 6, so I moved to Ecuador for the winter. A year later, after another tour around North America I returned to South America to bicycle tour through Chile, Argentina, and Uruguay. To see my blog posts about life in South America click here.